​Witt Law Firm, P.A. is a Charlotte and Monroe based legal practice that strongly advocates for clients both in and out of court. 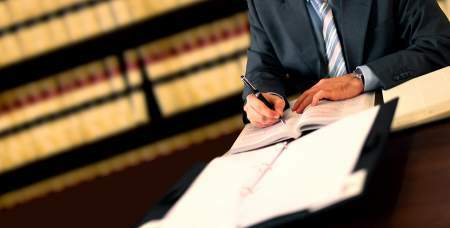 Our skilled lawyer in Charlotte & Monroe can provide valuable legal guidance in a wide array of legal matters. We have years of experience and industry recognition from respected publications such Martindale Hubell, SuperLawyers Magazine, and Business NC Magazine. Bankruptcy: Both individuals and businesses need help when facing insurmountable debt. Our skilled attorney in Charlotte & Monroe is knowledgeable in personal and business bankruptcy law and can help you resolve your financial difficulties. Business law: Whether you need advice on a new start-up or business litigation services, we can help. Our experienced business attorneys understand business law and protect your interests at every stage of the process. Criminal law: Criminal charges whether a felony or misdemeanor can be intimidating. At this vulnerable time, you need strong advocates who can protect your rights whether during negotiations or at trial. Family law: From divorce to the family will—the Charlotte and Monroe general practice of Witt Law Firm, P.A. understands the emotional nature of family matters. Our compassionate attorneys handle your situation with care and respect, while aggressively protecting your rights. Traffic law: Traffic violations are often simple though some can greatly affect your future, like DWI. We seek to effectively handle your traffic law matter, whether in court or during negotiations. Personal injury: When the negligent actions of another leave you injured, you need attorneys who can help you obtain the compensation you deserve. Witt Law Firm, P.A. fights for you in court and during settlements. Contact Witt Law Firm, P.A. today to schedule a consultation.